Layering fabric will not only keep you warm on chilly evenings, it is also a great (but underutilized) way to dress up your environment with unique textures. 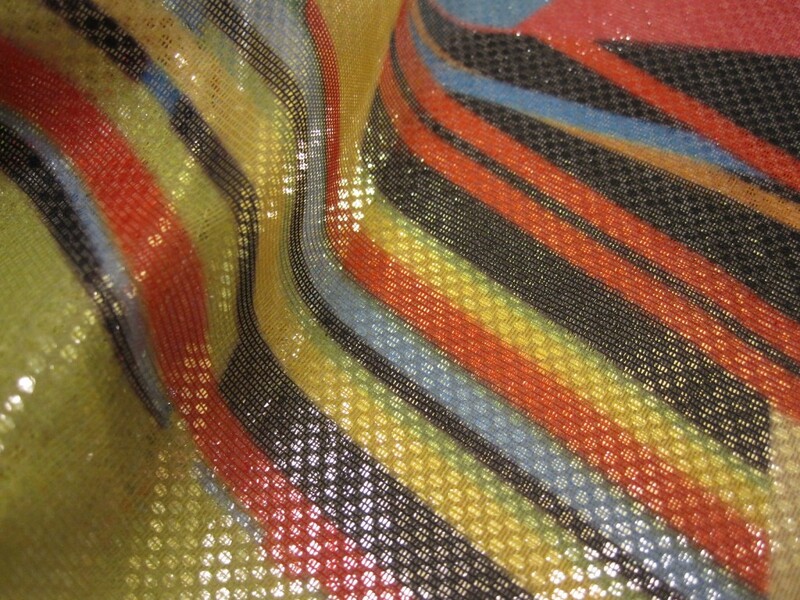 With or without printing, a mesh or transparent fabric partnered with a contrasting material can add just the sparkle your space needs. 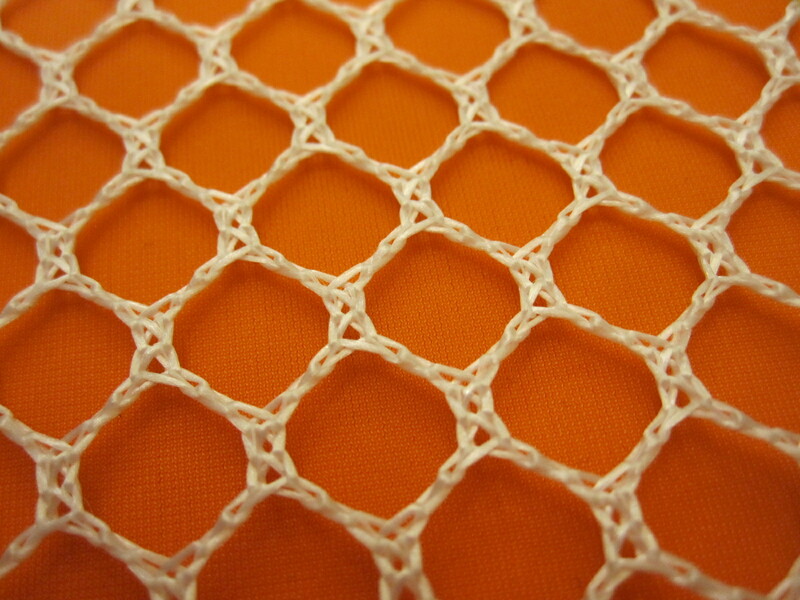 HexiMesh in white over a vibrant orange conveys sporty, clean energy. I see this effect being a great accent wall in a sporting goods or shoe store. Mix it up a little by using a variety of white mesh materials with varying hole sizes over the same base color. Printed Sheer over a Silver Tiny Dot give a little sparkle and glitz without going over the top. Imagine printing a water scene on the sheer with tiny dot backing it and throwing lighting on the face to add an extra twinkle. 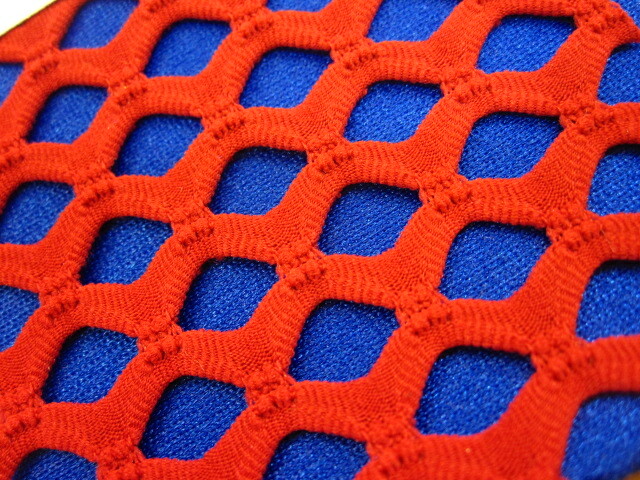 Big Hole Mesh in a vibrant red becomes quite playful when paired with a bright blue Spandex backer. The holes are just large enough for litter fingers to interact with and the spandex provides a great elastic flex for stretching and shaping a children’s play area. 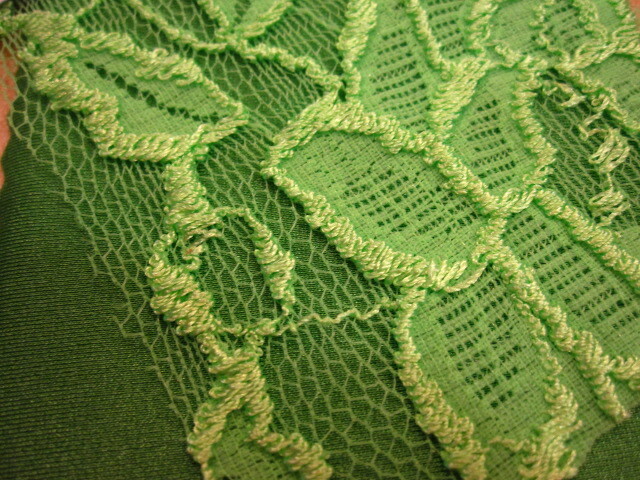 Though lace is commonly thought of as an apparel fabric, this great green Stretch Lace (Finesse pattern shown) over a green Spandex in a similar shade can replicate a natural, outdoor space with vines full of life.